ISP4Rent provides the very best low maintenance, cost effective web hosting solutions » NewTribeZ.net - Empowering you! 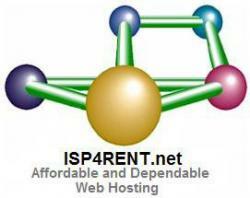 ISP4Rent provides the very best low maintenance, cost effective web hosting solutions to our clientele. In order to do that we provide you with great value plans, we have combined minimum investment requirement with ample allowances for both data storage and bandwidth. ISP4Rent's provides you with the security of an upgrade path to accommodate changes to your future needs This means that you can start small with the confidence that you can upgrade when required. Should you have any questions or be in need of a customised hosting package please contact the Team at ISP4Rent.net via email at admin@isp4rent.net or by using the "Contact Seller" block as they will be only too happy to assist.